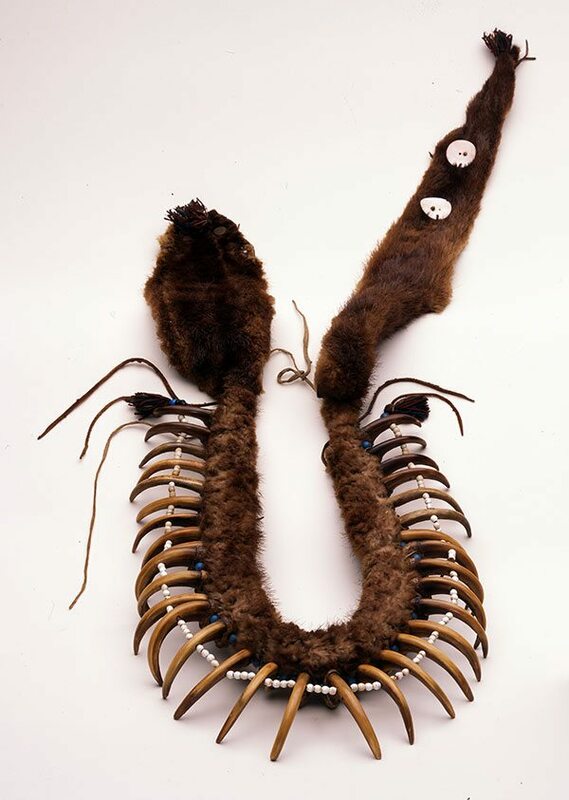 This grizzly bear claw necklace is part of the newly acquired Paul Dyck Plains Indian Buffalo Culture Collection which Plains Indian Museum staff and others have just begun to study. Grizzly bear necklaces were worn by tribal men and were highly valued because they reflected the strength and courage of the bear. 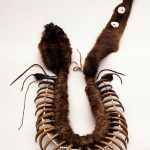 This necklace contains thirty-three bear claws, fur, leather, abalone, trade cloth, and beads. Read more about bear claw necklaces in this additional blog post from Curator Emerita Emma I. Hansen.